No kitchen is complete without a cutting board. There are plenty of types in the market, which are mostly made of wood, bamboo, acrylic, and plastic. But, did you know that there are glass cutting boards too? They are mostly known to be resistant to scratches and are commonly odor-free. 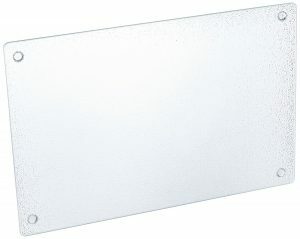 In terms of hygiene, tempered glass cutting boards can be placed in dishwashers for cleaning. Since it doesn’t have grooves and marks, its smooth surface does not accumulate and store bacteria and germs that might cause illnesses. Unlike wood or plastic, this is the only type that is capable of being used as a heating pad. It is made to be sturdy enough to withstand the heat of objects placed on top of it. Although fragile, this type of board does not easily break when they fall to the ground. Aside from its functionality, the designs of this board are actually fun to look at. It can be a staple decoration when not in use and, at the same time, serve its purpose when you need to. These boards are best when used to cut pastries, fruits, and vegetables, but they are also suitable for all sorts of products in general. Although appreciated for its convenience when cleaning, there are complaints made by a few people that glass boards actually make your knife dull. Additionally, noise may be produced when the blade hits the glass. This is why other users are quite apprehensive about buying this for their homes. Glass cutting boards come in different shapes, sizes, and thickness. Some are transparent and plain, while others have creative designs. Apart from that, even the surface of the boards is different. There are those that are smooth on one side but pebbly on the other. Others are smooth on both sides, and there are also those that are textured on both sides. Since these easily slips on your counter or wherever you plan on putting it, the chopping boards have rubber stoppers attached to them. They can be easily taken off and transferred to the other side whenever you want to use the opposite side of the board. The price range of the product varies as well, but mostly relative to the size. You may find the smaller ones at a lower price and the larger ones at a reasonably higher price. Whether you are just looking for a new board for your kitchen or someone curious about what this type has to offer, finding the most ideal for you is still a challenge. Why don’t you start by looking through a quick comparison of famous ones, and see which ones stand out the most for you? Now that you have a brief idea of the physical qualities of glass boards; take a look at this short list of the top ten glass cutting boards that will make a great fit in your kitchen. 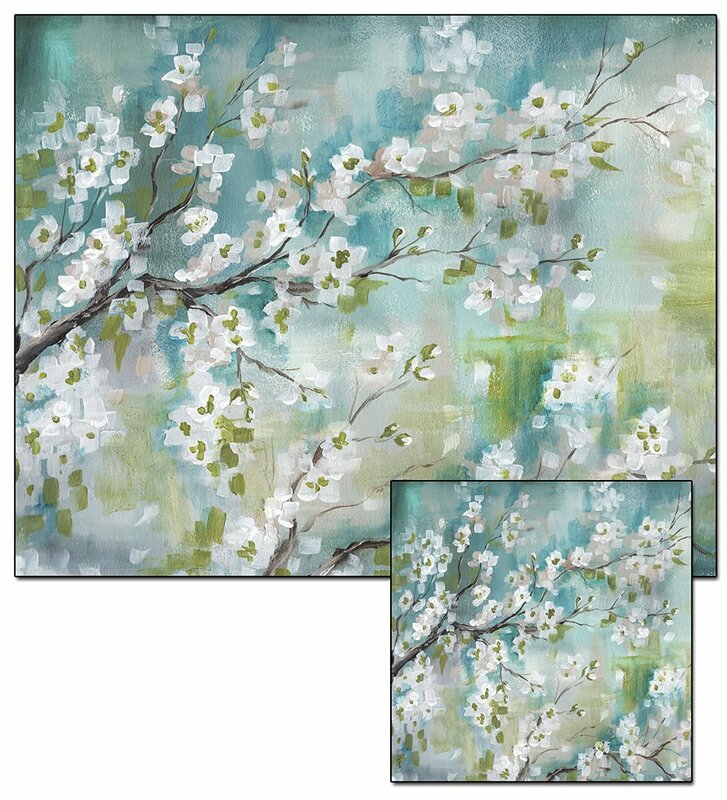 It has a cherry blossom-inspired painting on the textured tempered glass surface. This is heat resistant and can be used as a holder for hot food and casseroles. Its surface is also stain and scratch resistant that keeps it neat-looking. It has a dimension of 15 inches by 12 inches with thick 4 inches height. An anti-slip stopper is placed on the backside to keep it stable. Display a pleasant-looking cutting board on your countertop. This textured cherry blossom cutting board is wide in size giving you more room when cutting fruits, vegetables, and more. It resists scratches and stains which keep the design intact, regardless of how many times your knife gets in contact with it. Furthermore, it is resistant to heat which allows you to put hot objects on top. With a 4-inch thickness, you are assured of its durability as you continuously put force on it when slicing. Moreover, its anti-skid feet protect it from slipping and ensure that the surface you place it on will remain unscratched. 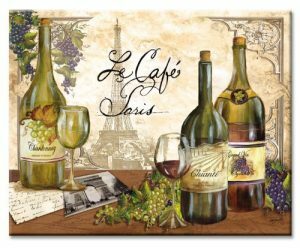 This can be used as a functional cutting board and a décor at the same time. Lightweight, only weighs 2 pounds in total. The edges are rounded which prevents chipping when you accidentally hit it against something. The rubber stopper has a tendency to slip off after a period of time of use. This is a stylish product that is perfect for cutting and for decorating. It is thick and durable that’s perfect for cutting hard objects. Aside from that, the painting on its surface stays the same regardless of the continuous knife contact. The chopping board in this set has a 12×8-inch tempered glass. It has a thickness of 1.2 inches which is quite thick compared to others. The set also comes with a small paring knife with a stainless steel handle. When combined together, the set only weighs 1.4 pounds. This set gives you two products for the price of one. 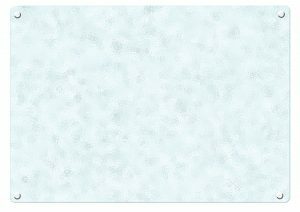 Its translucent tempered glass cutting board has a texture that keeps a good hold of the products that are chopped on the surface. It also has anti-skid feet that have a good grip on where it is placed. Additionally, the surface itself is scratch resistant. Any knife scratches will not mark to keep the board looking good. On the other hand, the paring knife that goes with the board is made of stainless steel. In fact, even the handle is made of the same material. This knife is great to use in peeling off fruits and vegetables. This is a 2-in-1 purchase of a textured cutting board with a matching paring knife. The board can be used in both sides with a rubber stopper near on the corners. The paring knife that goes with it does not scratch the surface of the board. Has a smaller surface area to work on. This is a budget-saving package for your kitchen. Not only do you get a small sturdy textured cutting board, but also a sharp paring knife. They are easy to store since they do not consume too much space. Make the most of your penny with this great deal. Its surface has a design of mixed vegetables such as carrots, lettuce, and tomatoes. It can be placed in the dishwasher and is heat-resistant. This artistic glass can function as a cutting board and a serving plate at once. Its size is perfect for large-sized ingredients. Have more space to slice and dice. Aside from that, this also has a rubber stopper on its back, so it won’t slide on the counter when you start using it. When it comes to cleaning, you wouldn’t have a problem with this since it can be placed in your dishwasher despite it being thin. It fits perfectly in the machine, but can be washed manually as well. Moreover, the surface of the cutting board also has a texture that keeps a good hold on what you are slicing. This is scratch resistant and will hold against the pressure inflicted on it when you dice and mince. It is safe for dishwashing, which makes it easy to clean and keeps it odor free. This can be both a decoration and a full functional cutting board. Most users have issues when it comes to the picture that was glued on the backside. 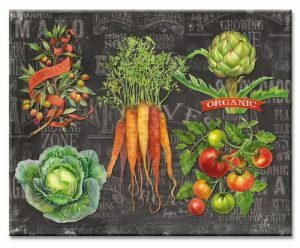 If you are looking for an artistic cutting board with just enough size to fit in your dishwasher, but still has enough surface area for you to work on, then this is the board for you. The best thing about this is that you can just leave this on your countertop or your table and it will just blend right in. This is a wide glass cutting board that is 14 inches in length, 20 inches in width, and a thickness of 0.2 inches. This large-sized board weighs 1.6 pounds. Its edges are rounded to prevent it from chipping when hit by something. It has rubber feet on the corners to keep it stable. 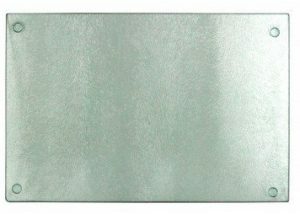 A Catskill Craftsmen glass board is a large cutting board but with only 0.2 inches of thickness. Although it is thin, it can still do well when you are cutting dense objects like pork and poultry. Its edges are kept rounded to make sure that it doesn’t break when it hits something. This board is not as fragile as you think it is. Furthermore, this is possible to be placed inside a dishwasher and inside a microwave. Both of its smooth sides can be utilized and can easily be sanitized. The best part about its surface is that the odor won’t have anything to stick on. With this board, you get both space and resistance that you need to slice your ingredients better. This is safe to use inside a dishwasher and a microwave. It is easy to clean with its smooth surface and the odor doesn’t stick. There is a bigger space to cut on with its wide width. Its surface can be too slippery for some ingredients which might require you to cut at certain angles. The sound it makes as the knife hits the board is rather loud for some. The board’s most significant feature is its size. But, aside from that, it also brags on its smooth and non-absorbent surface. If you want more space to work on, you might want to check on what this has to bring on your table. Despite its large size, this board is kept thin and lightweight. This tempered glass cutting board weighs 5.7 pounds overall. It has a long length of 18 inches with a width of 16 inches and a thickness of 0.3 inches. It has a built-in non-skidding trim on the corners that keeps it in place. This is resistant to heat and can be used as a good heat pad on the table. A cutting board made by a trusted brand – this is what this glass board is all about. With an extra size, you get to have a huge space for slicing and dicing. However, it is thinner and heavier than compared to most. Despite that, this is still well-performing when you cut meat, poultry, and vegetables. What actually makes this stand out are the trims on the corners which are designed and added to keep the board from slipping. Cut, dice, and chop all you want and this board will stay in place. In cleaning this product, users will have to do it manually rather than putting it in a dishwasher. It was manufactured by a well-known brand that specializes in cutting boards. Its large size provides extra space for chopping big portions of meat or vegetables. This board is so thin for its size that it is not recommended to be placed in a dishwasher. Although thin, it still weighs about 5 pounds. If a huge cutting board is what you are looking for, then this is the one for you. You can use it on both sides without worrying about skidding or grazing your countertop all thanks to its rubber trims. Aside from that, this comes from a trusted brand that specializes in making cutting boards. This tempered glass board has sunflower designs on its surface with non-skid feet at the back. Its dimensions are 15 inches long, 12 inches wide, and are about 0.5 inches thick. It is another lightweight board that only weighs 1.5 pounds. The paint is inside the glass which makes is safe from knife cuttings and scratches. The CounterArt Reflections of the Sun cutting board is another break-resistant board that can be used for chopping or for serving. Due to its colorful design, some users keep this as a decoration instead of as a cutting board. To make sure that this does not make any scratches on your table or countertop, rubber feet is attached on its back. It prevents the board from sliding and, at the same time, elevates it from where it was placed. Moreover, with its 15-inch size, you get plenty of space to chop products from vegetables to poultry. 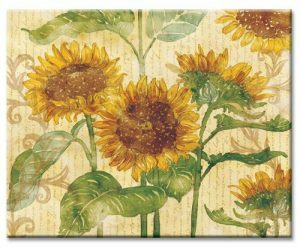 The tempered glass is resistant to scratches so the sunflower painting is not harmed when your knife makes contact when slicing. Its size gives enough room to cut big sizes of meat, fruits, and vegetables. This can be used as a complimentary accessory for countertops or tables. Too thin to be dishwasher safe. This creatively-designed glass chopping board will serve you both as a cutting board itself and as a tray. It looks great on your countertop that you don’t even have to stow it away. Aside from that, it has rubber stopper that holds it in place. Perfect as a decoration in your kitchen. This cutting board has a dimension of 10 inches by 6 inches by 3 inches. It weighs about 1.6 pounds and is considerably light. It uses a translucent glass that was made by the famous manufacturer, Waddell. Its surface is textured which prevents what you are cutting from slipping. This plain cutting board is said to be fairly good. It has a defined texture on its surface and an anti-slip guard on the corners, which keeps the board in place. It is easy to clean and is resistant to odor. It is not too thin nor too thick, hence it is durable enough for cutting meat products and light enough to carry around. Excellent small-sized board that can hold up when used for slicing and cutting hard products. It is translucent which makes you see the other side but it doesn’t mark when the knife passes on the surface. It fits on standard dishwashers which makes it easy to clean but it can be hand washed as well. Rubber feet comes off constantly. You can have these replaced with new rubbers to solve the problem. Although plain-looking, this cutting board does not come short in terms of sturdiness and stability. Its textured surface lets you slice through anything without a problem. Good quality overall. A small sized board that has a 15-inch length, 12-inch height, and a 0.2-inch of thickness. 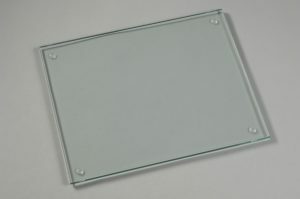 The CounterArt reserve vintage glass board is only 1.3 pounds that are considerably light. This is made with break-resistant materials and is dishwasher-safe. It showcases an artistic contemporary painting. It has its own rubber pad at the back that prevents it from slipping or sliding from where you put it down. This well-designed board is average in size and very thin. Despite that, it is still very much functional for slicing or dicing on top of it. Its size fits right well on standard dishwashers and stowing it away is easier since it doesn’t take too much space. You can even leave this on your table as a decoration. Furthermore, the art on the board is not corrosive. You won’t have to worry about damages caused by your knives. Additionally, its anti-skid stoppers are also a great help to keep it in place. This is lightweight and easy to store. Doubles as a kitchen decoration. Any knife marks are easily masked with the artwork. Can only support so much weight. May break under heavy load. This needs to be handled better because this board is very delicate. 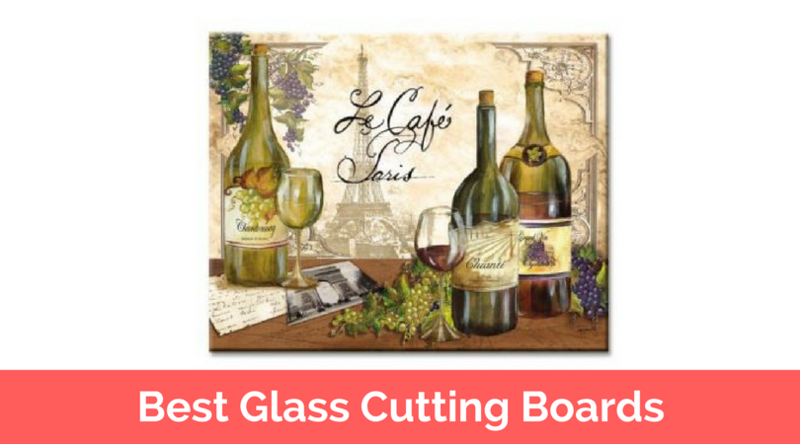 If you are looking for a glass board that is more for presentation than for actual cutting, then you might want to try this one out. Although it can be very fragile, it can still be used as a heating pad or as a serving tray. This has a surface size of 20 by 16 inches with 0.2 inches of thickness. It weighs about 5.2 pounds that fit its large size. It has a textured and smooth surface on either side. This is made of sturdy materials and often comes with tint. It has anti-slip holders on the corners. This is a large-sized cutting board with less than half an inch thickness. You have two options when using this, since it has both smooth and pebbly surface. With good resistance to heat, it can work as a heating pad. Despite its thickness, this board only weighs around five pounds. Commonly, instead of hiding this away, some just leaves it on the counter top. Since it is too big, it also can be a good decoration. Similarly, its size is very much appropriate to be used when serving dishes from the kitchen. It has a wide surface area where you can cut a large portion of food. The colored tint masks any surface flaws, while its material is resistant to stain and odor. This is great to use for cutting but it can also be a good decoration. It can be too big for some counters, especially in smaller kitchens. Storage for this can be a problem due to its large size. This is very delicate due to its thinness. If you are looking for a bigger cutting board, then this will immediately catch your attention. It is very thin yet very durable. From cutting to mincing, this has no problem handling the tension on its surface. Additionally, this can be left on top of your counter without worrying that it would look odd since its tinted glass will blend well. The board is designed to have a scratch-resistant and a heat-resistant top. This uses a tempered glass that is resistant to impact, making it practically unbreakable. It has reversible pebbly and smooth transparent surfaces. 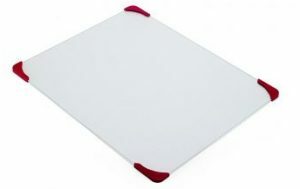 This two-sided transparent glass chopping board comes with rubber stoppers at its corners. Although thin, this can sustain slicing and dicing of all sorts of produce. It is also resistant to heat with both of its surface resistant to odor and dirt. Knife marks are also not visible on this, unlike plastic and wood boards. It is very easy to maintain its cleanliness. You can either wash it by hand or place this in a dishwasher. However, you might want to remove the stoppers first and wash them separately to avoid losing them. Aside from its main purpose, this can also be a good tray to hold your food. Chop and serve cuts straight from the board to your table. Its average size fits perfectly in the dishwasher, which makes it easier to clean. The rubber grips are exchangeable to use both sides with ease. Its nonporous surface keeps it free from discoloration, odor, and bacteria. The rubber stoppers may tend to easily slip when washed. It is suggested to remove it before placing in the dishwasher and wash it separately. 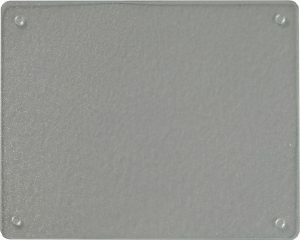 Its textured surface can be difficult for some to use when cutting vegetables. You can flip it to the smoother side and switch the anti-slip legs to keep it still. The highlight of this glass board is its suitable size. It is not too small that it won’t suffice for when you are cutting large meat and vegetables, but it is also not too big to make it inconvenient, especially for small counters. Ideal for when you want a cutting board with a simple, no-nonsense design. With the Top 10 glass cutting boards presented to you, choosing the right one won’t be such a problem. Start considering which ones you want to keep in your kitchen. Weigh in the pros and cons to make a great investment.